Jollibee just introduced a new taste to the Jolly Crispy Flavored Fries! 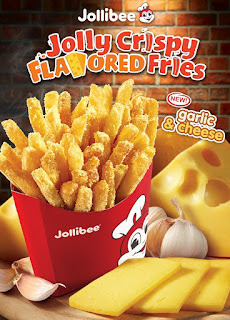 If you're already fond of their Super Cheese Jolly Fries, they're adding Garlic and Cheese offering this June 19. As always they are made with 100% real potatoes fried to a golden crisp, the new Jolly Crispy Flavored Fries in Garlic and Cheese is the perfect combination of smooth and creamy cheese with a distinctly savory garlic kick in every bite which will surely leave you and the squad grab for more than just one. 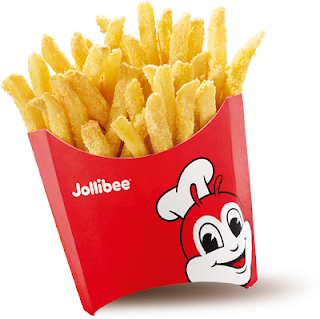 These flavors of Jolly Crispy Flavored Fries are available for dine, take out, delivery, or drive-thru transactions in three sizes: Regular (P40.00), Large (P65.00), or Extra Large (P80.00).